A while back I came across some lampwork beads that I simply had to have. Although the range of materials that I use in my designs did not include lampwork, it would have been a shame to not get them! The new lampwork jewelry designs have been on the website since early June (too many pretties to picture and post than time in the day) they are one-of-a-kind and once gone -they're gone for good. The multitude of colors and designs that lampwork beads offer is just spectacular. 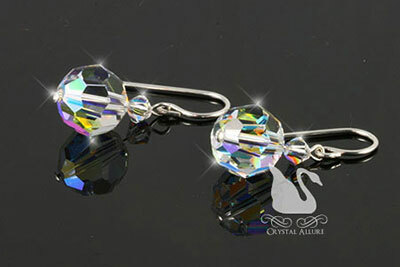 Mix them with the sparkle of Swarovski Crystals and WOW! What a design. 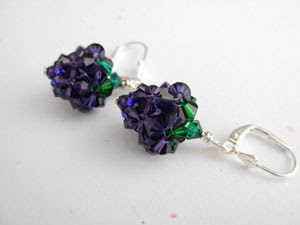 Some lampwork bracelets even have matching beaded earrings or bead pendants too! Aqua, black and gold swirl artisan lampwork glass bead paired with Bali, jet and aquamarine Swarovski Crystals and draped on an elegant 18" sterling silver chain. Pendant measures 1-1/2". 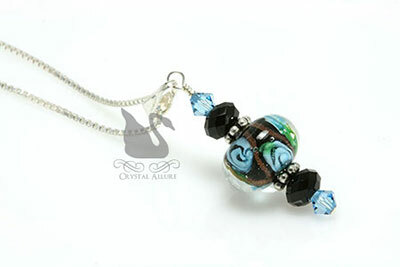 You can't beat a calming, almost mesmerizing, blue crystal set against a black and blue flower lampwork bead. The beautiful artisan lampwork glass bead features a blue swirl rose set against a black core, accented with stunning blue and black Swarovski Crystals and sterling Bali. The sterling silver rose toggle clasp finishes this garden-feel handmade beaded bracelet. Measures 8". Don't forget to check out the ALL NEW! 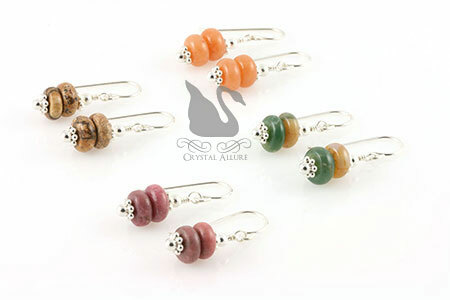 category as new beaded jewelry is added regularly. I had the pleasure of creating this one of a kind beaded Aunt bracelet for a returning customer. This beautiful design was created using white Swarovski Pearls, sterling silver, various .925 sterling Bali beads, personalized with sterling letter blocks that spell AUNT and then finished off with a heart toggle clasp. This design is pure elegance! Thank you Lana for allowing me to design this special custom bracelet for you. I know you will enjoy it for years to come! I'd be happy to custom design a special AUNT bracelet, just for you. 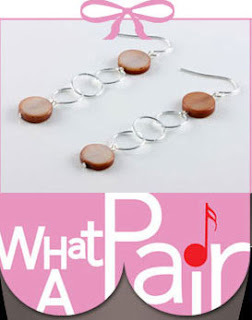 Feel free to contact me to discuss details and be sure to browse our past Custom Bead Jewelry designs for inspiration. With June being named after Juno, or Hera, the goddess of marriage, some consider it good luck to be married in this month. And because the pearl has long been a symbol of purity, modesty, love, success, and happiness, it has become a tradition to give the bride pearls on her wedding day. In ancient Rome, the pearl was the ultimate symbol of wealth and social standing, while the ancient Greeks associated the pearl with love and marriage, and unrivaled beauty. It was believed that wearing pearls on your wedding day would help ensure marital bliss. Pearls have been a passion and even an obsession of people throughout the ages. They have been ground up and used in cosmetics and as a medicine to treat heart and stomach conditions. Some cultures swear by pearls as an aphrodisiac. These gems have adorned crowns, clothing, and temples, and were said to be a favorite of Cleopatra. Today, pearls are still worn by royalty, especially at weddings. Queen Elizabeth II wore them as her wedding jewelry in 1947, as did Sarah Ferguson. And here in the United States, Jacqueline Bouvier wore a strand the day she became Mrs. Kennedy. Pearls continue to be viewed as a mark of taste and refinement as well as a symbol of beauty and purity. Pearls are the perfect gift, suitable for all ages, and elegantly worn with everything from jeans to an evening gown. 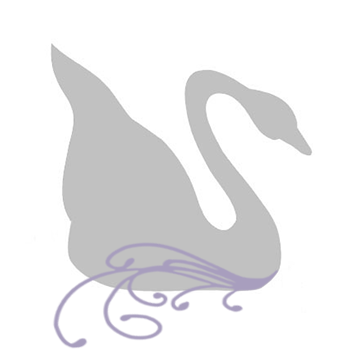 June actually has three birthstones associated with it: Pearl, Alexandrite and Moonstone. 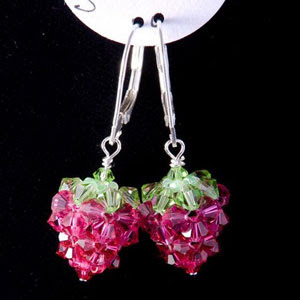 The tradition of giving birthstone gifts on birthday's is still popular today. 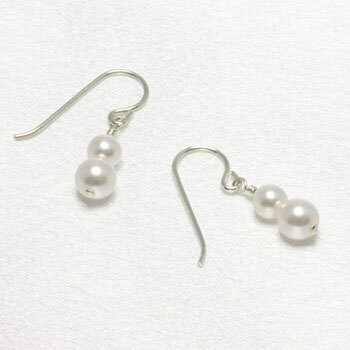 More affordable options in both pearl birthstone jewelry and alexandrite birthstone jewelry for June gift giving would be to give Swarovski Crystal and Swarovski Crystal Pearl birthstone gifts. 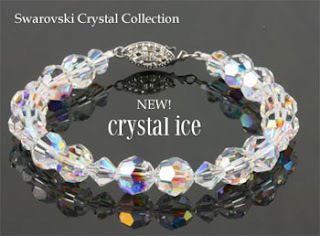 Swarovski offers a radiant Crystal Pearl that rivals any natural pearl. 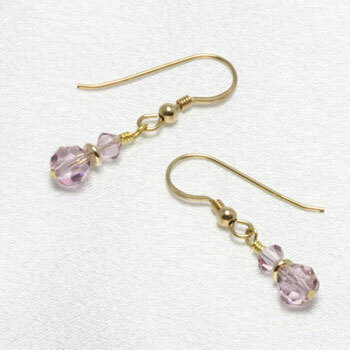 As well, their luminous light amethyst Swarovski Crystal is the perfect substitution for the soft color of Alexandrite. The June birth flower is the rose, or the honeysuckle, as roses and honeysuckles bloom throughout June. June is also sometimes called the "Rose month." Pearl is also the suggested anniversary gift for the 30th wedding anniversary.